Erik Aude (@erikaude) is an actor, stuntman, professional poker player, and the subject of 3 Years in Pakistan: The Erik Aude Story. This is part one of a two-part episode. Make sure to check out part two here! How an American actor with a successful career gets wrongfully imprisoned in Pakistan for three years. 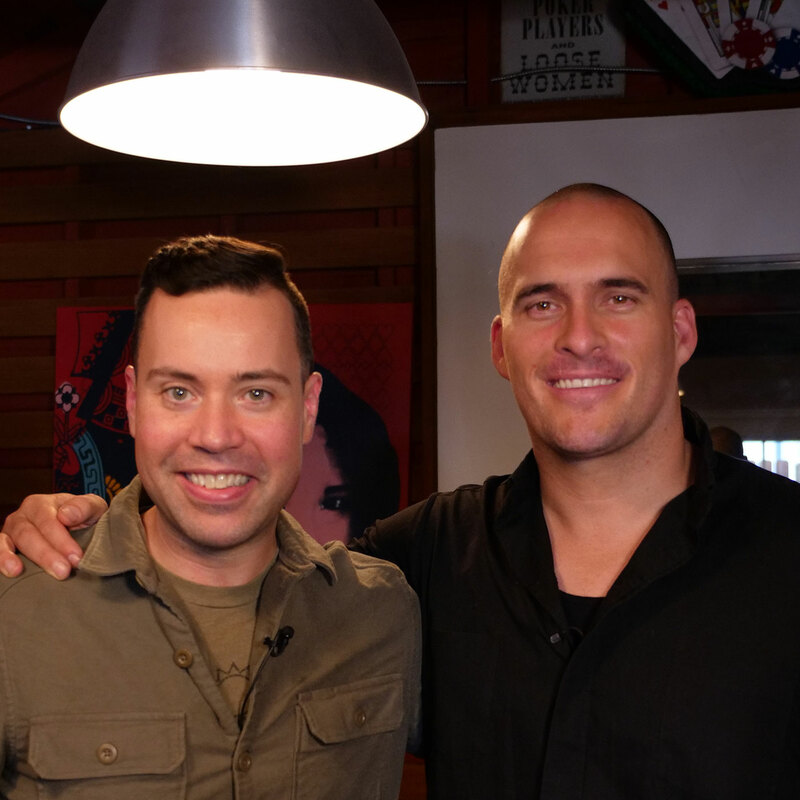 Why Erik’s unique history with pain tolerance made him uniquely suited to survive torture and the rigors of prison life. The culture shock an average westerner might expect to experience while visiting Pakistan. What the phrase “physical remand” actually means in Pakistan’s justice system. How Erik remains positive and grateful for what he has in spite of the ordeals he’s faced — in Pakistan and at home. 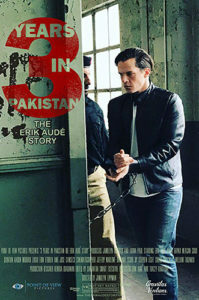 In the documentary 3 Years in Pakistan: The Erik Aude Story, we learn how Erik — a stuntman and actor with a successfully blooming career — was imprisoned in Pakistan for a crime he didn’t commit, how he survived torture and attempted murder in prison, and what it took to gain his eventual freedom. This is a story of human resilience, mental and physical toughness, and how a wrongfully imprisoned American on death row in a foreign land protected his mind even when the world seemed stacked against him. This is part one of a two-part episode. Check out part two here! If you’re only going to take one gluten and dairy-free, keto, paleo, and vegan-friendly supplement to boost energy, balance nutrition, and aid digestion, then Athletic Greens— with its 76 natural ingredients — is what we recommend. The Jordan Harbinger Show listeners get 23 travel packs (valued at $79) with their first purchase at athleticgreens.com/jordan! If you’ve watched any television shows or movies in the past 15 years, you’ve no doubt seen Erik Aude’s work. According to IMDB, he’s got 134 acting credits to his name (Grey’s Anatomy, Sons of Anarchy, Timeless, This Is Us), and 60 for stunts (Planet of the Apes, The Scorpion King, Dunkirk). But the role he’d probably turn down given the chance to rewrite history is the one he plays in 3 Years in Pakistan: The Erik Aude Story — because it chronicles the time he spent on death row in a Pakistani prison for a crime he didn’t commit. In short: Erik was recruited by a “friend” from his gym to accompany leather goods back to the United States from other countries in exchange for free travel and a little spending money while abroad. He had successfully done so without incident from Turkey, but was arrested trying to leave Pakistan when it was discovered that opium had been sewn into the lining of his suitcase without his knowledge by this “friend’s” contacts. To those who doubt his innocence, Erik offers this reasonable rebuttal. “I was recurring on four different TV shows,” says Erik. “I had just finished working on the movie The Scorpion King over the course of a year and a half. In that time also I’d just finished Planet of the Apes with Mark Wahlberg, and I had a pilot that I’d booked called 360 that I was going to start. So I had a lot of great things going for me. My dreams of being an actor and a stuntman were paying off — I was a working actor/stuntman; I was able to pay all my bills doing what I loved. Listen to this episode in its entirety to learn more about the details that led to Erik’s imprisonment, what westerners should know before planning a trip to Pakistan, Erik’s unique history with pain tolerance that helped him survive Pakistan’s “physical remand” form of justice, why knowing how to hold his breath for three minutes was particularly useful during Erik’s ordeal (and how he came to possess this particular talent), and much more. Click here to thank Erik Aude at Twitter!